Until November 18th, Argentine researchers and representatives of the Max Planck Institute in Germany are going to talk about their studies on Physical Sciences. At the auditorium of the Centro Cultural de la Ciencia (C3), in the Polo Científico Tecnológico in Palermo district, the “Frontiers in Physical Sciences” Symposium opening was held. 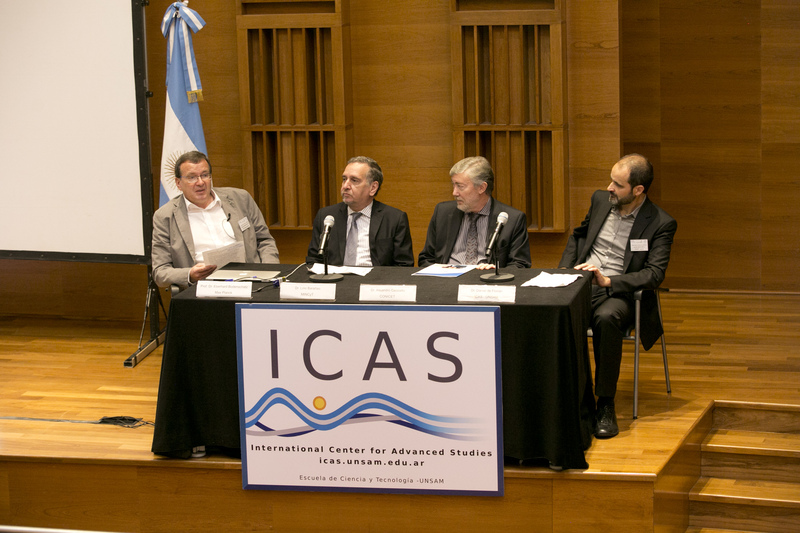 It was organized by the International Center for Advanced Studies (ICAS) of the Universidad Nacional de San Martín (UNSAM) and the Max Planck Society. Some of the people who participated in the opening were: the Minister of Science, Technology and Productive Innovation of Argentina, Lino Barañao; the president of the National Scientific and Technical Research Council (CONICET), Alejandro Ceccatto; the ICAS director, Daniel de Florian; and the representative of the “Laboratory for Fluid Dynamics, Pattern Formation and Biocomplexity” of the Max Planck Institute for Dynamics and Self-Organization of Germany, Eberhard Bodenschatz. The science minister also mentioned some projects with other countries such as Brazil, France and Italy and commented that at the Polo Científico, the Biomedicine Research Institute of Buenos Aires (IBIoBA), the first Partner Institute of the Max Planck Society in Latin America, inaugurated in 2011. “Scientists from different countries work together on different disciplines.” There are other alliances such as the Centro Latinoamericano de Formación Interdisciplinaria (CELFI) and the ICAS. There will be more than three hundred participants taking into account speakers and attendees, and a great number of directors and representatives of the Max Planck Society Institutes. It is worth mentioning that there will be a talk delivered by Klaus von Klitzing, Nobel Prize in Physics 1885 awardee “for the discovery of the quantized Hall effect”, who was also director of the Max Planck Institute for Solid State in Stuttgart, Germany. The symposium was supported by the following institutions: CONICET, Ministry of Science, Technology and Productive Innovation of Argentina, UNSAM, Max Planck Society, Alexander von Humboldt Foundation, and CELFI. To read the schedule of the talks, click here.